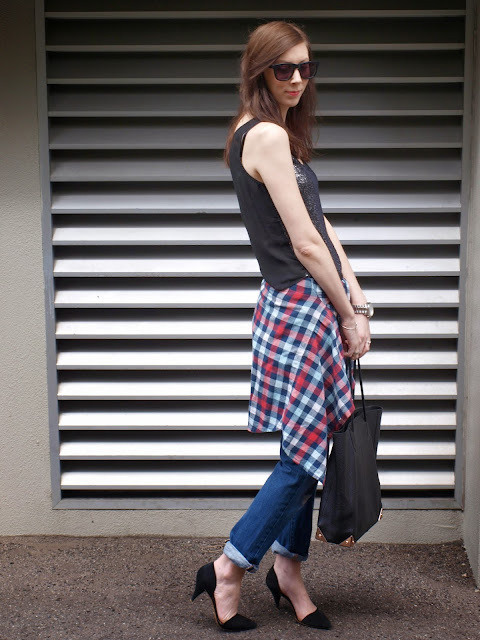 All the cool kids in the 90’s were doing it and in fashions true form…it’s baaaack!! 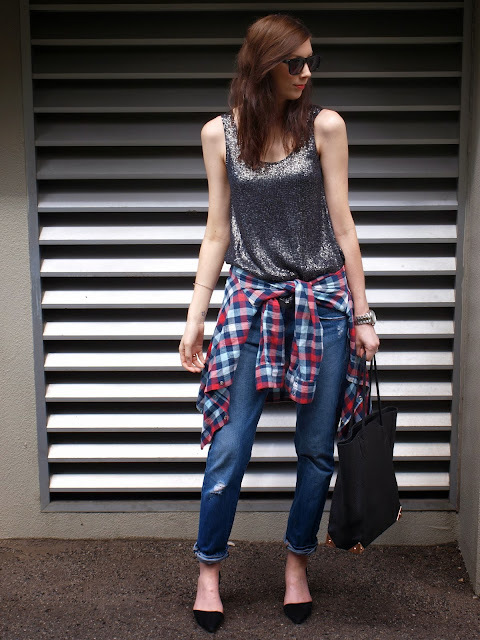 Get a shirt tied around your waist and just like that you’re on trend…this one I stole from the other half of the wardrobe, or should I say other quarter because let’s be honest it’s not a 50/50 split! 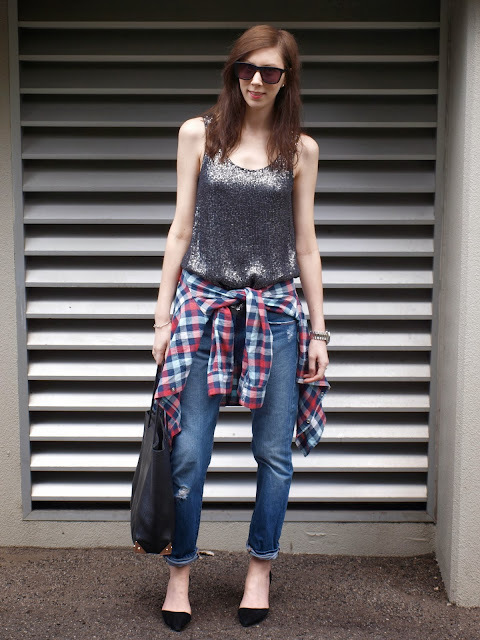 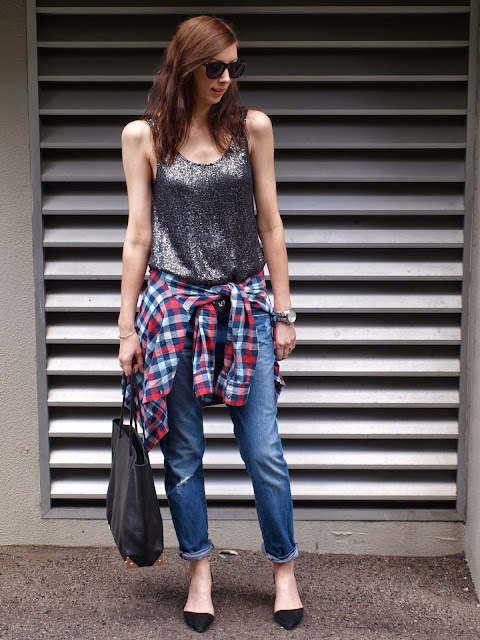 Love the contrast of this simple but sparkly top with a plaid mens shirt and boyfriend jeans. 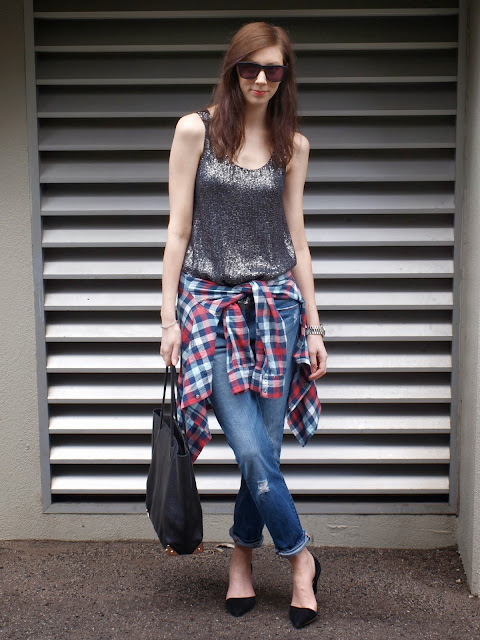 Adding a heel keeps things on the feminine side, it’s a delicate balance.